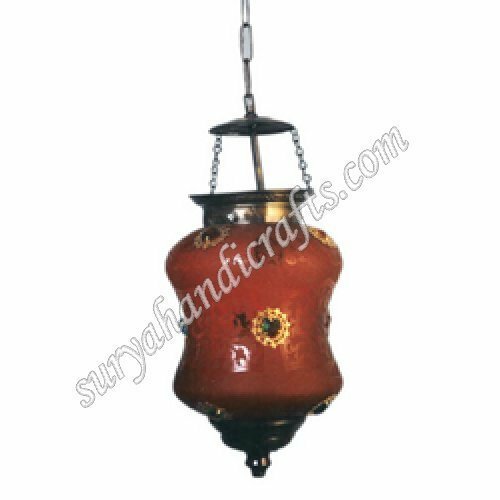 Founded in the year 1988, Surya Handicrafts are a dynamic enterprise, engaged in manufacturing, supplying, trading and exporting an array of Surya Handicrafts Items. Our collection comprises Pottery Trays, Blue Pottery Pot With Elephant, Lac Pens, Lac Mirrors and Marble Candle Stands. Along with these, we offer Marble Statues, Horse Handicrafts, Owl, Wooden Box and Copper Stone Dibbi With Plate, to name a few. The collection offered by us is widely demanded by the customers for its excellent craftsmanship, eye-pleasing color combinations and innovative designs. Customers can avail our entire collection in different designs, colors and patterns to suit their diverse preferences. We are supported by a team of creative artisans, which hold expertise in designing and bringing forth alive these magnificent pieces of art. Our experts utilize their artistic brilliance, due to which we are able to offer customers these absolute masterpieces in a variety of color-combinations, designs and patterns. All our products are crafted crafted by the experts using eco-friendly and safe material for contributing towards environment. For meeting the specific preferences of patrons, with the aid of our workforce and sound infrastructure facility, we provide this series of products in tailor-made options in terms of designs, color-combinations and patterns. Moreover, all our products are provided to the clients in qualitative as well as attractive packaging so as to ensure safe transit. Every expert of our firm make apt use of available resources to bring a touch of classy craftsmanship for the clients. Due to sophisticated infrastructure facility and deft workforce, we have gained the faith of numerous patrons, based in different parts of U.K., Italy, South Africa, USA, France, Switzerland and many other countries & continents.